KUCHING: State Reform Party (Star) Sarawak questioned the method of calculation for oil royalty that was announced by Prime Minister Tun Dr Mahathir Mohamad. 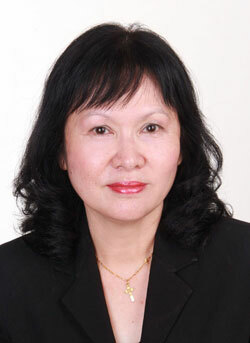 Star Sarawak president Lina Soo pointed out that her understanding of the convention to calculate oil royalty is based upon percentage of gross production and is free and clear of all costs. “In practice, royalty rates tend to vary from 12.5 per cent to 25 per cent depending upon the negotiation skills of the landowner,” she said in a press statement today. However Soo was stunned to learn that the Prime Minister’s offer was ’20 per cent of the profit’, which would factor in production costs, operational expenditure and taxes. “Has the Prime Minister moved the goal post so as to be seen as fulfilling its election promise, yet denying Sarawak voters the real value of 20 per cent royalty by shifting the base calculation from gross production to profit? “Is the PH government trying to avoid payment to Sarawak by creative accounting?” she questioned. Dr Mahathir’s announcement to raise oil royalties for petroleum-producing states including Sarawak to 20 per cent has raised eyebrows and Soo wondered if this announcement was merely to distract and divert the focus away from the real issue of ownership over oil and gas found in Sarawak. She urged the Sarawak government to resolve the rights and ownership over oil and gas found on this soil and territorial waters through the constitutional process in Sarawak State Legislative Assembly (DUN). “Failing which the elected lawmakers would have failed in their duty to fight for, and protect Sarawak rights, resources and sovereignty,” she cautioned.